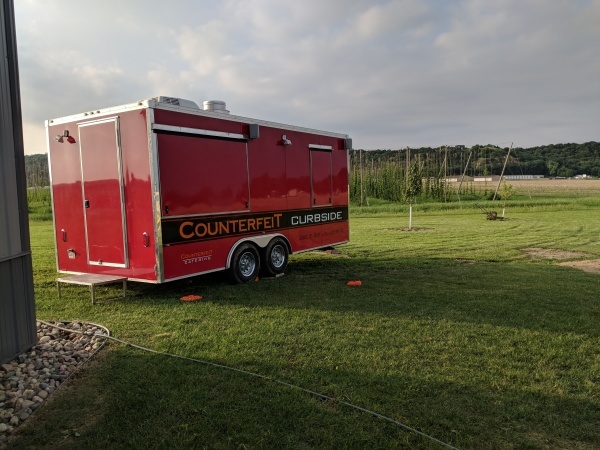 Our craft beer trailer built is ready to serve the best brews made with our hops from brewers in South Dakota and beyond. From Father's day weekend to Labor day weekend we open on Saturday and Sunday evenings -- with Mother Nature's permission! 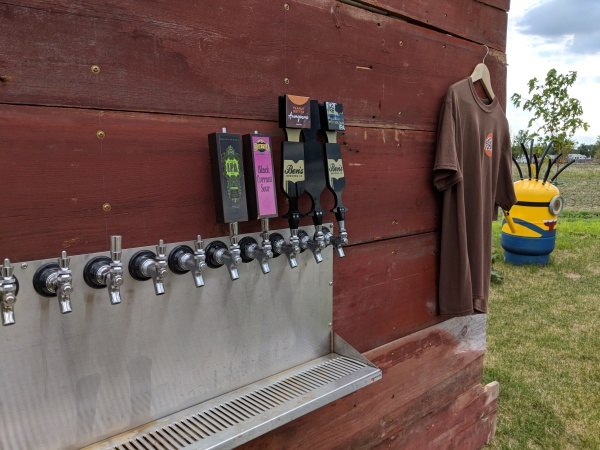 We hold short tours of the farm and always a bite to eat with your beer. We listen to live music every evening as the sun sets on the hops. Check the calendar below for what is happening at our yard! You won't find some paper degree or oversized chef hat flouting some crazy accent in this truck. Michelle worked in kitchens since she was 14 with prestigous stops at nursing homes and prisons. Her eye for event coordination and making food from scratch fresh ingredients has created the Counterfeit name. Ryan and Michelle are always on the hunt for good food to bring back to the trailer and copy and modify in the Counterfeit tradition. Every year our space grows from cornfield into open greenery among hops. 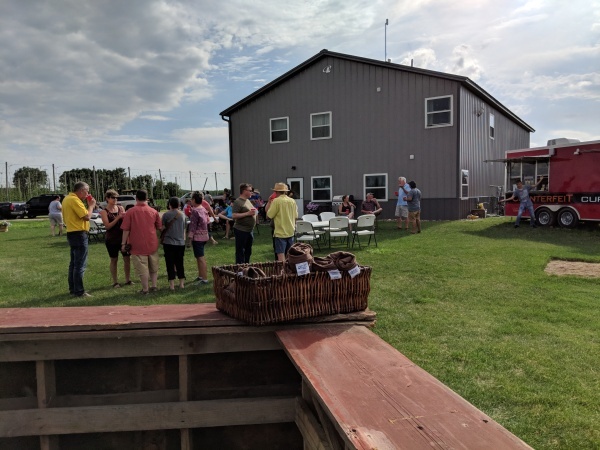 With exquisite cuisine from Counterfeit Catering and Michelle's coordination, we are ready to host your event in one of the most unique spaces in Yankton. Interested? Every event is unique and catered exactly for the occaision. Send us a message to see what we can do!